We asked a few of our alumni artists about their experience with CAM Records. Read below to see what they have in mind! One Flew West was CAM’s Artist of the Year in 2015. CAM Records helped them release their EP, “Selective Memory”. They are a folk-influenced pop rock band that has played with multiple artists like The Dirty West, 3OH!3 and The Devil Makes Three. What are some of the ways CAM Records helped advance your career as an artist? The biggest thing CAM did for us was help us release our first EP, "Selective Memory" (2015). Not only did CAM help us cover the cost of distribution, they also helped run our EP release show at the Larimer Lounge! What was one of the most positive experiences you had partnering with CAM Records? It was great to see so many people that we didn't even know all working towards helping our band. In a day and age when people are exceedingly more invested in themselves than others, it was a blessing to have so many people working alongside us. What have you/your band been doing since then? Since we worked with CAM, we've played everywhere we can and released new music. We put out a new EP in 2018 called "Trial and Error," and the title track from that EP now has almost 500,000 plays on Spotify! In addition to that, we've gotten to open for tons of national acts as well as perform as an artist on the Vans Warped Tour. Are there any upcoming shows, releases, etc. you want to promote? We're releasing a brand new single, "Semi Kinda Right," on November 16th! Look for it everywhere you listen to music, and keep your eyes peeled for a music video! What are your upcoming goals for your band? Our biggest goal for 2019 is to tour through as many new cities across the country as we can, and to record some more new music! Multi-instrumentalist Chloe Tang is an alternative pop artist and CAM Records’ most recent alumna. Originally from Phoenix, AZ, she and her band made waves in the Denver music scene with their second EP titled Stranger, a hard-hitting record with influences from R&B and rock. In addition to making the top ten for Hometown for the Holidays, she played both the Westword Music Showcase and the Underground Music Showcase, and also made Spotify’s New Music Friday Playlist. Tang is currently pursuing her music career in the lively city of LA. The thing I gained most from CAM records was the connections I made with the class and getting my songs promoted by the whole class. It really helped me learn how to work with a team! I think the most positive/exciting thing was when my songs got playlisted on Spotify! I am currently living in LA writing, recording, and collaborating with a lot of people! I actually have a song coming out on Thursday (11.15) with my very first CAM records collaborator, Thoreau! Any advice for current/future artists working with CAM Records? What about for artists in the Denver area? I think the best advice I could give is just to collaborate as much as possible and find people who you vibe with musically. It’s easy to get caught up in doing things by yourself but when you add other people and ideas into the mix, you’re working with multiple brains and with that comes more connections and creativity. And as far as cam records goes, your experience is what you make of it. So work as hard as you can in the small amount of time you have and you’ll get more from it. 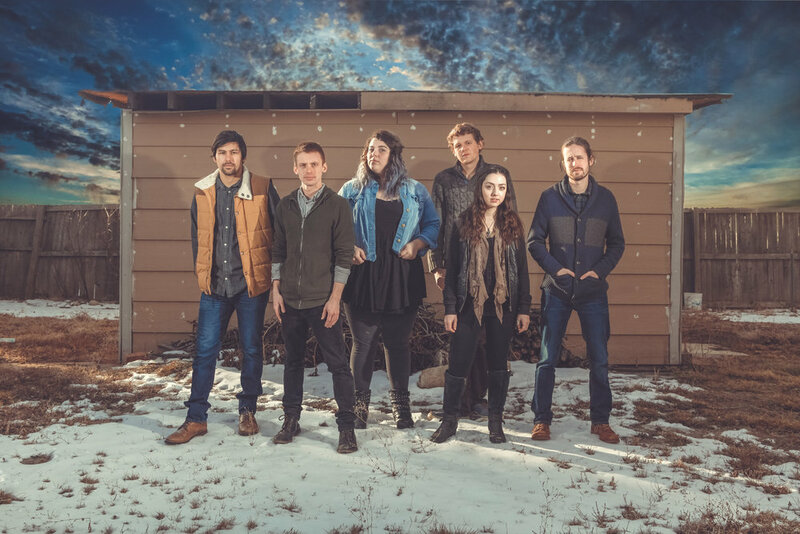 Avenhart is a six-piece string Denver band formed in 2015 by Andrea Parés (vocals), Payden Widner (guitar), Alex Drapela (banjo), and Olivia Shaw (fiddle and vocals). Avenhart was named CAM’s Artist of the Year in 2016 and were soon joined by Clint Koury (mandolin and vocals) and Gil Clark (bass) in 2017. That same year Avenhart released their self-titled EP and have been piling up awards like the 2018 Westword Bluegrass Music Award ever since. Avenhart can be found live frequently around the Denver area and are currently working on their first full length album planned for release next year. Formed in 2012, members Michelle, Harmony, and Blair perfectly blend dark-pop, beatboxing, ukulele, spoken word, and poetic lyrics in their band, The Milk Blossoms. The Denver based group have received a Westward Music Award, a 2016 Experimental Category Award, and have been nominated for a 2017 Indie Category Award and a 2018 Pop Category Award. They recently released their sophomore album, Dry Heave the Heavenly, which can be purchased on their Bandcamp.